If your child needs prescription medication during the school day, it is required that we have a written order from your child's physician and written parental consent. The form is in the handbook (Appendix B), or you may use the link below to print out the form. Your child's physician can also fax an order to 814-762-8037. Please note that parents must provide their child's medications in the proper container labeled by the pharmacy. 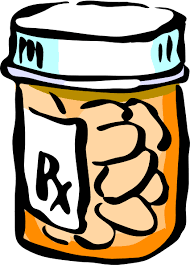 If your child needs over the counter medication during the school day, please complete the parent permission form in the handbook (or send in a written note), and send in the medication for your child. Medications must be in the proper container, labeled by the manufacturer. For over the counter medications, the dose is per manufacturer's label. Please note: Students are not allowed to carry any medications with them unless authorized by their physician. If your child needs to carry their inhaler, please note that on the parent permission form and submit a written order from your childs's physician. Medication Forms - Click here to access the Clearfield Area Elementary Medication Form (and other forms).